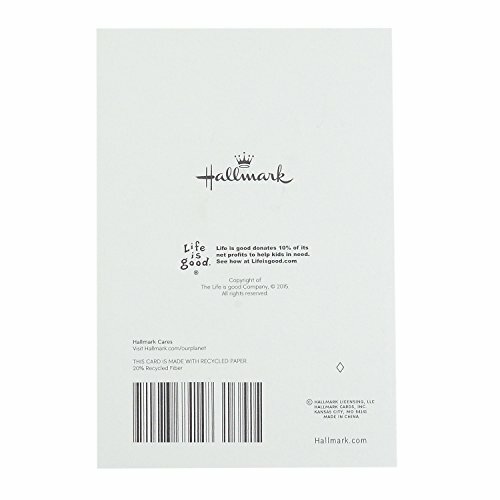 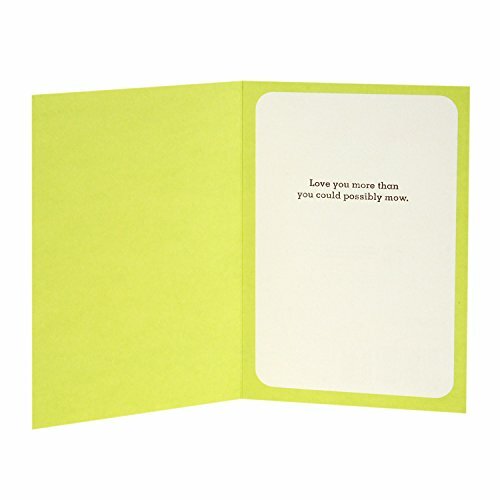 Card size: 5 inches wide by 7.2 inches long. 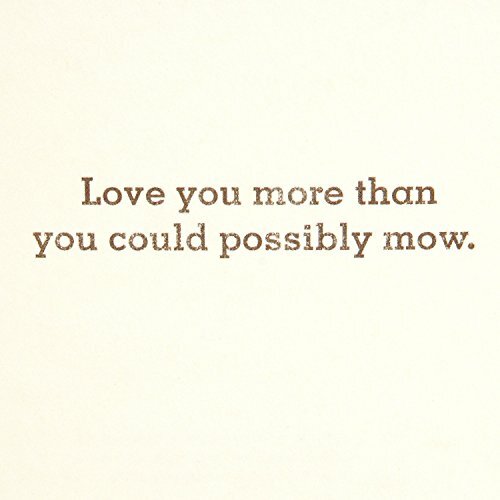 Inside Message: Love you more than you could possibly mow. 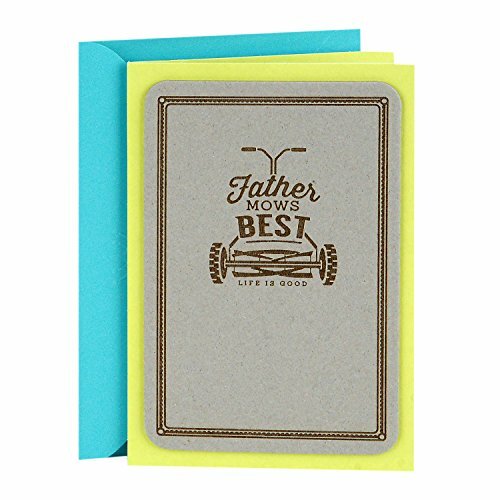 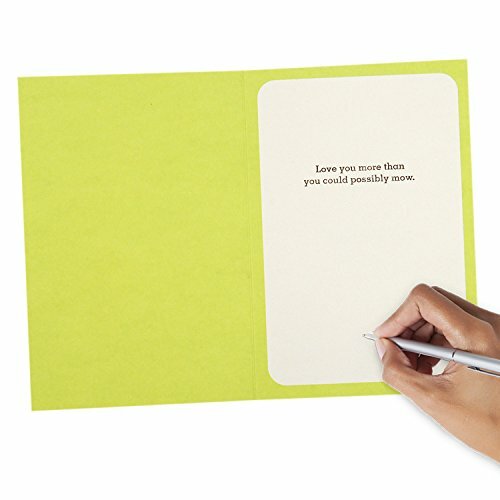 Printed on high quality paper stock, this Father's Day card is a thoughtful way to send an appreciative note to your dad on his special day. 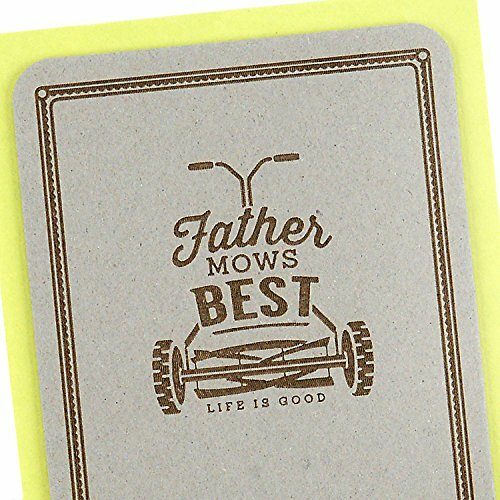 This card's design features an illustration of an old-fashioned manual push mower and is part of the Life is Good collection, the Boston-based lifestyle brand committed to spreading the power of optimism and helping kids in need.